A little bit of sad news came across the wire today. News that AOL might be shutting down the gaming site “Joystiq”. I don’t read much else on there besides WoW Insider, but as an avid fan of Warcraft, I spend many hours a day reading WoW Insider articles and commenting, sometimes prolifically on the site. What is WoW Insider? It’s a Warcraft blog, but it is so much more than that. It is a collection of like-minded personalities who share battle stories, tips, and just general information. Articles like, The Queue which have been around as long as WoW itself are iconic. Though I have never met any of the staff or partook in reader gatherings, I feel that they are guild members. I have a personal connection to the site and many of the good people who comment on there. Even the trolls. If not for WoW Insider, I would probably not have gotten into blogging. I don’t get paid for blogging. I don’t have any ads on my site. I do like to use blogging to keep my writing sharp. Who knows what doors will open in the future? My favorite memory from WoW Insider is probably during Wrath when they announced Cataclysm. I would tab out from playing and check out the latest news. We would have discussions on the new features and changes to the game. Fortunately the experience would continue with Mists and then Warlords. During BlizzCon, reading the live blog is definitely something I look forward to. I’m clinging to the small hope that the readers and fans will make their voices heard. Tweet out and be sure to link articles like these. Pass them along to like-minded friends. If you are a blogger, feel free to link your fondest WoW Insider memory in the comments below! Edit: @elepheagle has also sounded off on this topic on his blog: Feckless Leader: #SaveWoWInsider. Very well done Ross! 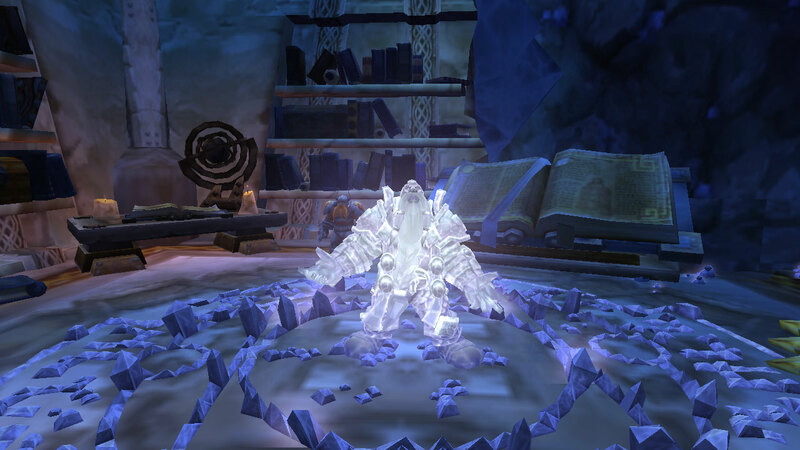 @grammarkobold added his thoughts to the mix on his blog: Exodar Sisters: Dear WoW Insider. Bravo! @applecidermage sent in her contribution on her blog: Apple Cider Mage: Here lies Kyle, Son of Durotan. Matt Low @matticus, former WoW Insider writer offers up a post on his blog: World of Matticus: I’ll Never forget the Fond Memories at WoW Insider. @Liopleurodonic joins in the fun with her blog post: Battle Pet Roundup: Thank You, WoW Insider. @ravyncat1 had this to say on her blog: Ravyn’s Reliquary: WoW Insider. @thefussypants posted these words to her blog: Growing Up in Azeroth: A Call to Arms: #SaveWoWInider. @LibFeathers wrote this on her blog: Lib Feathers: More than a totem: WoW Insider. Corhi linked their contribution, posted at Corhi, casually: #SaveWoWInsider. This entry was posted in Warcraft and tagged #SaveJoystiq, #SaveWoWInsider, Warcraft, World of Warcraft, WoW Insider. Bookmark the permalink. WoW Insider is a unique gem in my experience. It is not affiliated to Blizzard (makers of WoW, to the uninitiated) and it always tried to be fair. The people who read it and comment in it regularly are like a second family even though I have never met any of them. The feeling of camaraderie if very special and I really hope the site will not close. Even mighty Blizzard has heard the fans (at least sometimes) so I hope AOL will do the same. I think the news that male and female goblin and worgen masks had been datamined, stands as one of my favorite WoWInsider memories. There used to be a column called, [1. General], which recapped some of the comments across the previous week. That was the first time I’d been mentioned on the site; I gave some friendly advice to another player and they repeated it. Ha ha, those funny cartoon ogre avatars were great. Two Bosses Enter… the curse of the Cardboard Dummy (no relation) who went to the finals. There was a great warlock columnist called Dominick Hobbs (also no relation) who gave amazing advice on how-to-warlock. I hope the site continues and gets some bloggers and content areas back. The community has been great, I will miss it. You are welcome. I learned so much about myself and WoW over the past 5+ reading WoW Insider, my post didn’t really do it justice. I am very grateful and hope I can help keep things going in some fashion. I actually worked there for about a year and a half! Well Jeff, this echoes my feelings pretty well. Thanks for putting thought to keyboard on this one. Hopefully it’s just a rumor, until then I’ll see you over there. Wow Insider back when it was wow.com was the site that helped learn how to be a capable player Dawn Moore’s priest and later Fox Van Allen helped me transform my priest for a guy who had is talents points in every spec and coudn’t heal for S**t. It help me appreciate the game so much more even when I wasn’t subbed. It taught me how to have a better online presence beyond NOOB MAH LOOT thanks to Drama Mama. The vast array of articles made me appreciate the Vastness of WoW itself. Thank you to everyone who helped make the site as wonderful as it is. I wish you all the best. I could not have said this any better, Jeff! I was a long time lurker, but then I started commenting quite a bit more during the MoP/WoD lull and even after the WoD launch kerfuffle and eventually fell into the crowd with Raz, Valence, Gazaa, and you. Those were some of the best times I’ve had on that site. May your haikus follow meter, your chili always be yummy (with or without beans), and your nonsensical silliness always awesome (also may you always have the most up to date info on MoP!). And let us hope that something awesome will come out of this with WI being reborn from the ashes of AOL’s poor decision making. I’m going to miss our crazy little community we had in that little corner of cyberspace. Everyone was like a very awesome (and pretty dysfunctional) family there, even the more trolly people, and everyone was pretty welcoming of new people. Hey it’s Bruin here! I am not a blogger; I make one-two liners with pique and passion and zaniness. I valued your comments, and hope WoW Insider stays, so I can continue to value them. You echoed my sentiments. Here’s to a beginning of me following your blog, though! So we’re like, hanging out here now, right?